On Sunday Nicaragua is going to elect a new president and renew its parliament. Except it won’t. It is likely to be the same old faces that have dominated the country’s politics since 1979 when the Somoza political dynasty that had imposed dictatorship since 1936 was overthrown. Current president and former revolutionary leader Daniel Ortega and his Sandinistas of the FSLN face little in the way of opposition. Ortega first won elected power in 1985, losing it in 1990, and returning in 2006, since when he has ruled unchallenged. Now nearly 71 years old opinion polls say he is set fair for a third consecutive mandate. Bitterly and bloodily opposed by the USA and its proxy Contra counter-revolutionaries in the 20th century, Ortega was a fully paid-up member of the anti-American awkward squad. Under him Nicaragua, once one of Latin America’s poorest nations according to the World Bank, has made huge economic, education and social advances, with help from Venezuela, Cuba, and Iran. His policies have won him widespread popularity, but in 2014 he modified the constitution ending term limits. He appears keen to rule as long as he can, with his wife beside him as Vice-President, and their children in plum jobs. It is an unsettling prospect, even for former comrades who once fought alongside him. “Ortega has reached complete control of the institutions, complete control of every institution including the police and the army which are like the Praetorian Guard,” says former guerilla commander Maria Tellez. 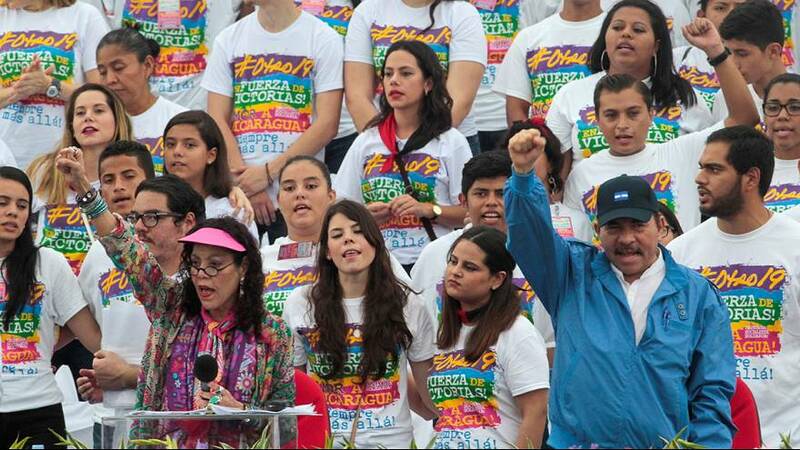 “Really, President Ortega doesn’t believe in elections. He’s said it. He thinks elections take a toll on countries, pit the people against each other, that there should be just one party and that this would bring about calm in the country,” says Sergio Ramirez, Ortega’s vice-president during his first term. The international community shares these concerns. In 2011 international observers took part in the elections. Not this time around. America especially is keeping a wary eye on goings-on in its back yard, despite Ortega’s pragmatic realignment with his erstwhile enemy that includes trade and participation in Washington’s “war on drugs”. Washington has warned Ortega that any deviation from democratic norms will lead to a suspension of financial aid on which Nicaragua depends. These tensions have fed into the election campaign and some people have been out in the streets to protest. Will this be enough to influence the result? The electorate will give its answer on Sunday.